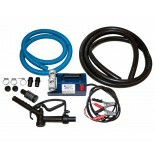 Need a custom military fuel cell? 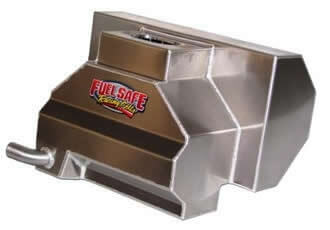 Fuel Safe Systems has provided puncture resistant, non-explosive, ballistic military fuel tanks, fuel bladders, and armored self-sealing fuel tanks for over 30 years. Fuel Safe has manufactured products for the U.S. Military, U.S. State Department, foreign militaries, law enforcement agencies, governments, and private security firms from around the world. Our blast protected, ARM-R-SAFE™ and self-sealing ARM-R-COAT™ fuel cells have been certified by an independent ballistics laboratory and self-seal against calibers up to and including 7.62 mm / .308 caliber (NIJ Level III) and .50 caliber (STANAG Level III+). 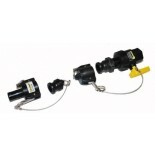 Both systems are designed to offer progressive levels of protection. Ideal for armored cars, tactical and military vehicles, defense fuel tanks, battle tanks, personal carriers, armored vehicles, swat vehicles, hazmat vehicles, and special purpose aircraft, ARM-R-SAFE™ and ARM-R-COAT™ are designed to keep fuel contained and occupants safe. Fuel Safe Systems is also recognized as part of the National Center for Defense Manufacturing and Machining's (NCDMM) Alliance Partners network as of 2018. NCDMM strives to continually innovate, improve, and advance manufacturing technologies and methodologies. Fuel Safe's experienced team specializes in identifying the needs, technologies and processes to attain optimal solutions for our customers. Aircraft Rubber Manufacturing’s (ARM-USA) line of ARM-R-SAFE™ protected self-sealing fuel tanks have safeguarded our nation’s leaders and foreign dignitaries for more than 30 years. The ARM-R-SAFE™ system is applied in stages and provides varying levels of protection, from explosion resistance to full self-sealing and armoring, depending on your requirements. ARM-R-SAFE™ can be applied to OEM fuel tanks, auxiliary fuel cells and specialized fuel tanks for military vehicles. 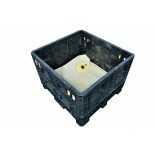 Full safety foam baffling for explosion resistance and fuel surge mitigation. A layer of ARM-R-COAT™ level II, self-sealing coating. Tank guard coating for protection from abrasion and road debris damage. Multiple layers of ballistic fabric armoring. ARM-R-COAT™ is a proprietary military fuel tank coating designed to seal a fuel tank after it has been penetrated by a ballistic projectile, ideal for use on security vehicles, VIP transportation, armored cars and military vehicles. ARM-R-COAT™ can allow any vehicle to continue operating after its fuel tank has been compromised by a bullet or ballistic projectile. Tested and approved by an independent laboratory, ARM-R-COAT™ provides peace of mind to those in harm's way. Fuel Safe’s experience in the defense industry is the product of many years of work with all branches of the U.S. military, the U.S. State Department, foreign militaries and top domestic defense contractors. Whether you're looking for a self-sealing fuel tank ARM-R-COAT™ for an MRAP vehicle, a Marine fuel bladder for a submersible vessel, lightweight fuel bladders for UAV's or fully armored bladders ARM-R-SAFE™ for JLTV prototype, we can deliver. We have provided a wide range of military fuel tanks, military fuel bladders, and military fuel cell designs for many different defense platforms including the Predator UAV, the Cheetah JLTV, the Oshkosh MLTV and many other prototypes and production military vehicles. 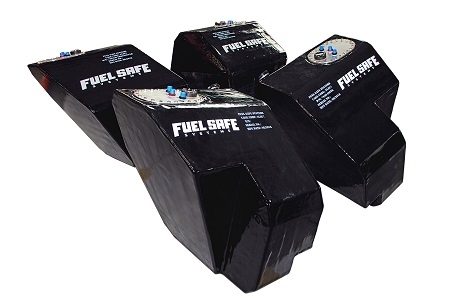 Fuel Safe specializes in developing and manufacturing military fuel tanks, fuel cells, and fuel bladder containment systems. Our services include: Custom fuel bladder fabrication, contract industrial bladder manufacturing, R & D fuel systems, material precision machining, and rotational molded armoring as well as self-sealing fuel cells. Pictured are fuel tanks designed for armored personnel carriers (APC), specifically Nomad and Thunder defense vehicles intended for the Qatar market. 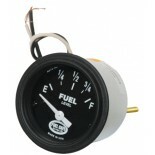 The tanks are compatible with diesel fuel and are equipped with Fuel Safe's Level I ARM-R-COAT. 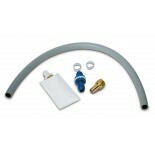 We specialize in developing and manufacturing military water bladders for a wide range of applications. For over 30 years, Fuel Safe has been providing innovative liquid and gas containment solutions to a wide variety of industries. We are capable of designing flexible containment systems to meet every conceivable application from ultra-lightweight UAV fuel bladders to fully armored, self-sealing fuel cells to large industrial storage tanks to inflatable bladders and structures. 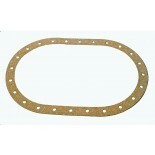 Our products are fabricated from the strongest materials and are designed to survive in the harshest environments. ARM-USA is an ISO 9001:2015 certified fuel cell manufacturer. 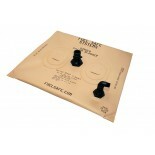 Fuel Safe Systems also stocks parts with designated National Stock Numbers for industrial and military applications. 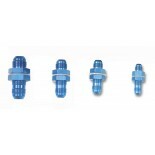 Parts are listed in the chart below and in the items section of this page below.